Imaginary play comes to life with this realistic role play set. 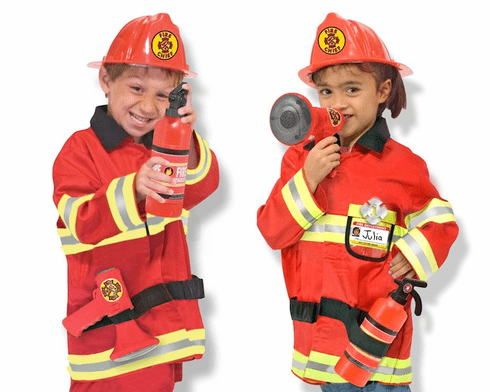 This fire chief set features exquisite detailing and realistic accessories. Accessories include jacket, helmet, badge, name tag, fire extinguisher and bullhorn with sound effect. One size fits ages 3-6 years 17" x 21" x 5"